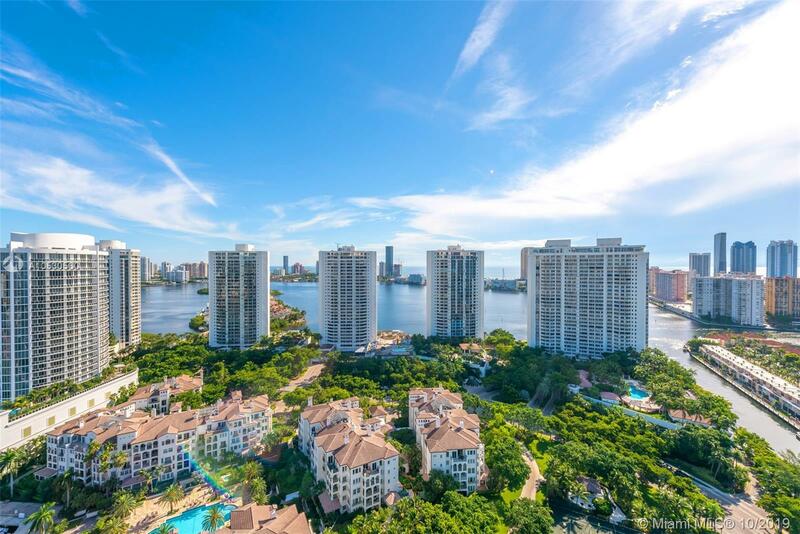 With sweeping views of the Intracoastal Waterway, the Atlantic Ocean, Williams Island, the Marina, and the Magic City, this ALL-NEW, fully renovated, top of the world, corner wrap residence features over sized terraces with 180 degree views. Three bedrooms/den, two and one half luxurious bath's, bathed in natural light. Additional features include a chef's, working kitchen with custom cabinetry, all new, impact resistant doors and windows, walk in closets, laundry room, a huge master suite with floor to ceiling windows and magnificent master bathroom complete with designer finishes. This extraordinary and rare opportunity awaits you! Directions: Us#1 To W.i. Blvd. - End Of Street To Guard House Into Community. The content relating to real estate for sale on this web site comes in part from the IDX program of the JTHS Council of the MIAMI Association of REALTORS® and their Multiple Listing Service. The copyright for these listings is under the © 2019 MIAMI Association of REALTORS® MLS. This information is not verified for authenticity or accuracy and is not guaranteed. The information provided is for consumers personal, non-commercial use and may not be used for any purpose other than to identify prospective properties for purchasing. This information was last updated as of date specified below. Some properties which appear for sale on this web site may subsequently have sold or may no longer be available. Data last updated 2019-04-23 08:50:10.